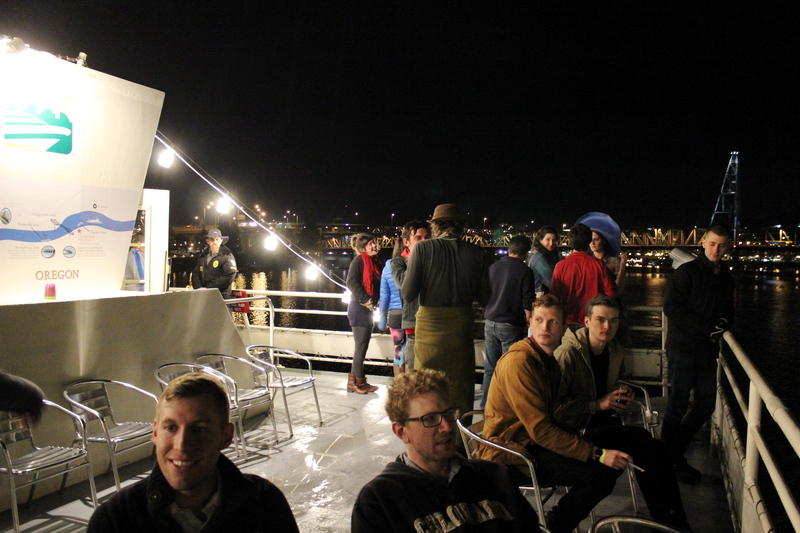 Sip on a micro brew while watching the city lights pass by from the deck of the Portland Spirit. This weekend I planned a “Secret Mystery Fun Night” with a my best friends. This is something I do once in a while, where I plan something awesome to do but they don’t know what it is until we actually do it . They are such good sports about it! Especially since they all know me and know I can have somewhat unusual tastes. This time I surprised them with a booze cruise! Hard to be disappointed about that! 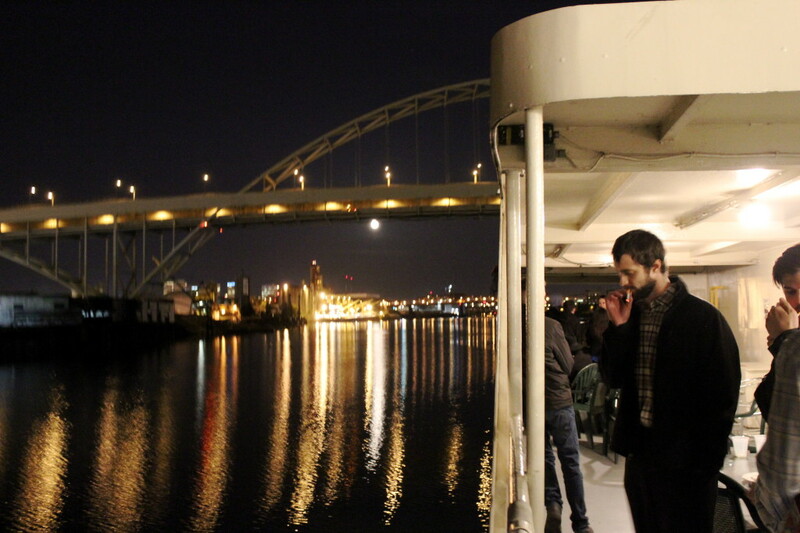 I booked us 6 tickets aboard the Portland Spirit, they met me after I got off work at 10pm and we walked down to the water front to board. 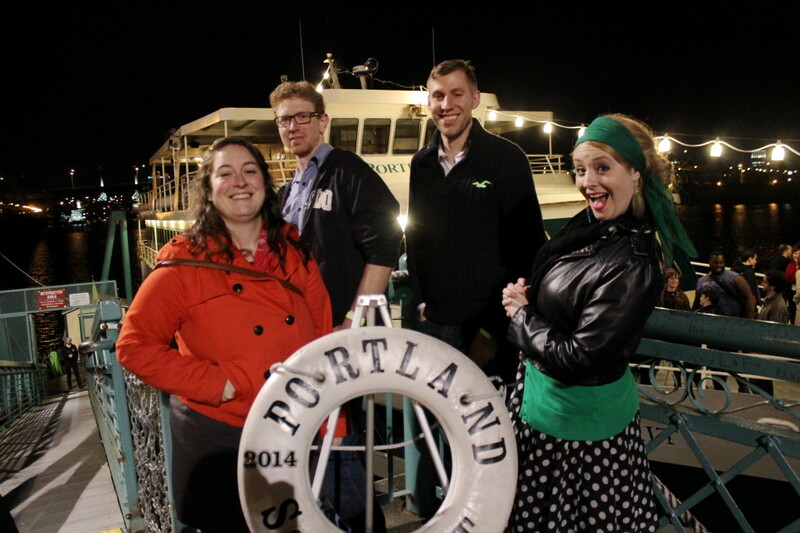 The Portland Spirit hosts a weekly 80’s night dance cruise on Saturdays, but this evening was actually a fundraising event for the Portland State Radio Station, KPSU. Boarding began at 10:30 and we departed a little after 11pm. I didn’t realize it until we were on the ship but this was 18+ cruise, so the alcohol was confined to a “beer garden” on the lower deck. The lines to get drinks were pretty long, but they had a full bar. We were a little disappointed not to be able to have a drink out on the deck watching the city pass by but oh well! 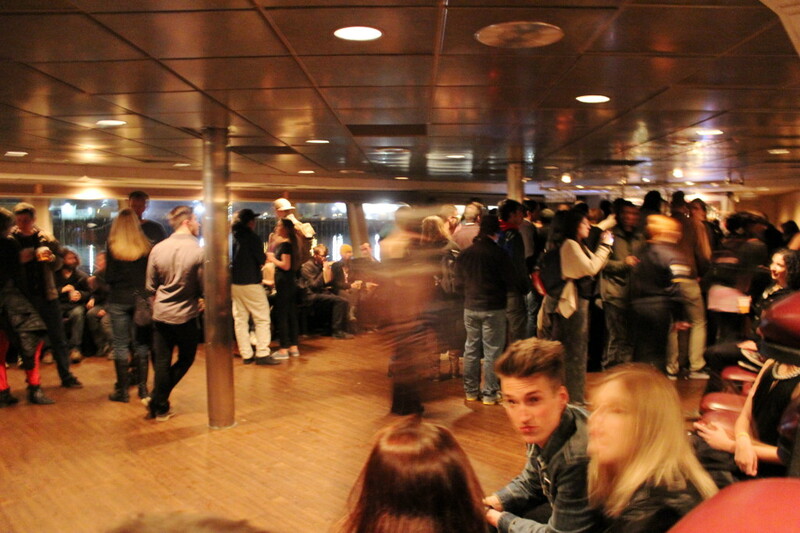 People on board told me that on the 21+ 80’s night cruises this isn’t a problem and they have a few bars open. We sailed north up the Willamette to Swan Island within sight of the St. John’s Bridge, then took a little cruise down the Swan Island Basin. We passed some big ships, ferries and lots of industrial buildings. It was kind of fun and a little spooky late at night. Everything looked deserted. I was a little disappointed that we didn’t sail under the St. John’s Bridge, it’s my favorite. 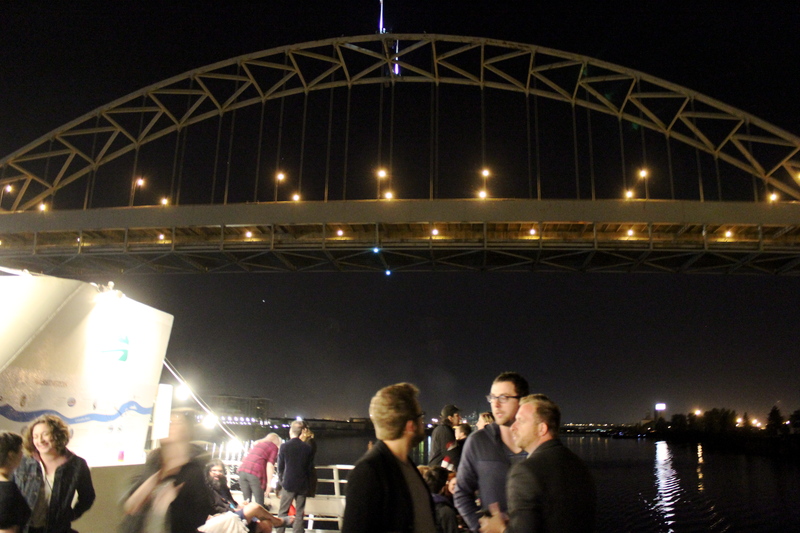 But I really enjoyed passing under the Fremont. 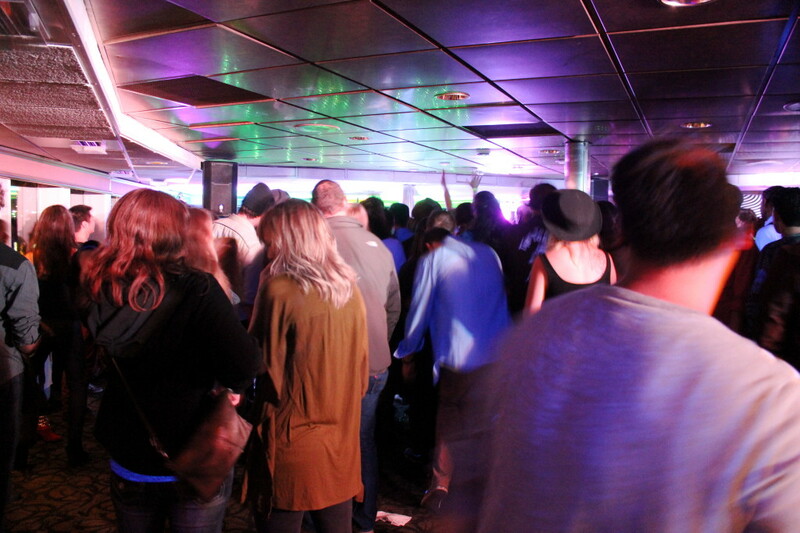 The night was getting cold so we spent the last half hour inside, listening to the music and having one last drink in the “beer garden” before disembarking a little after 1am. I think everyone was pretty happy with the evening. 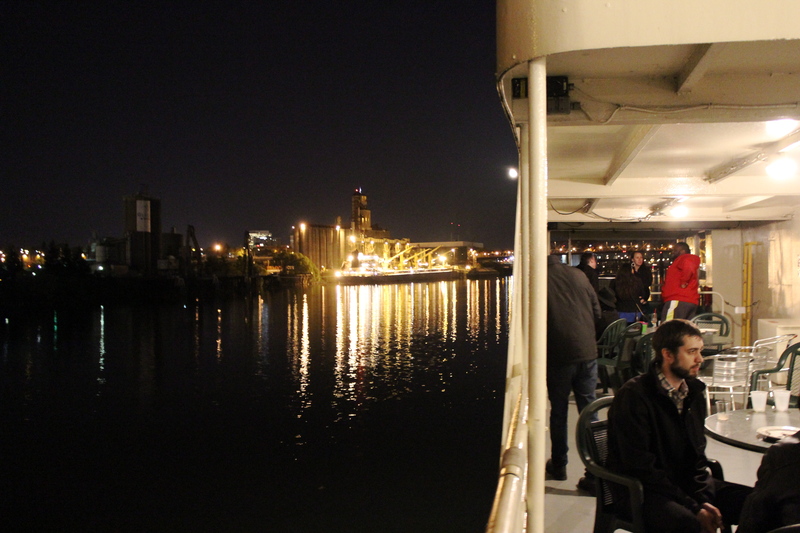 It’s a great way to see the city from the river. 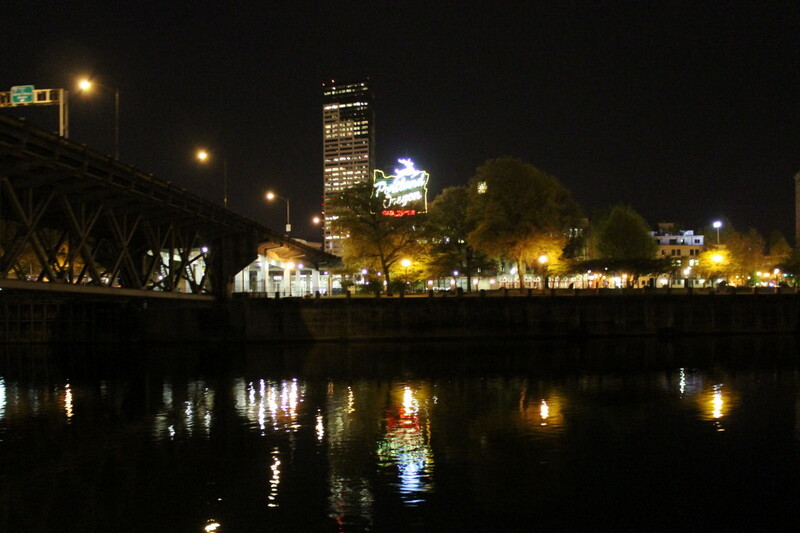 One of my biggest complaints about Portland is our disconnection with the river. I cross it 2-4 times a day, yet rarely spend any time on it. So this is a fun opportunity to see the city from the water. It’s beautiful especially at night. 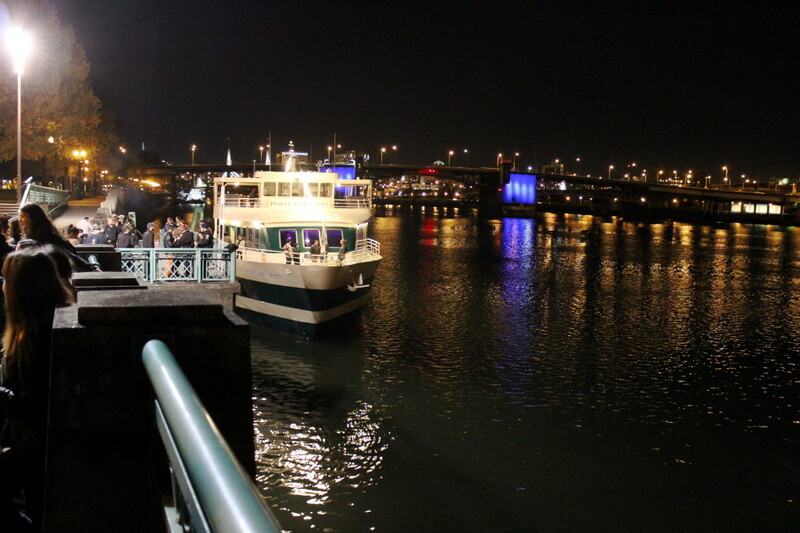 The Portland Spirit also runs Lunch, Dinner and Brunch Cruises which range in price from $40-70. 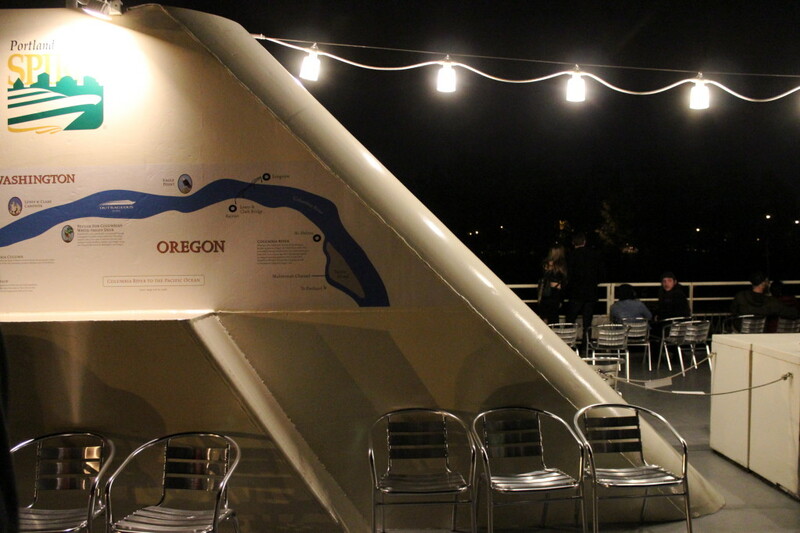 For more information about Portland Spirit Cruises go to their website.